Call it discipline, determination, ambition or craziness— but becoming a long distance runner leads not only to satisfaction on the race course, but also in everyday life. 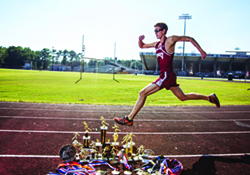 Chance Roe, a junior at Lowndes County High School, doesn’t pass up what running has to offer him. 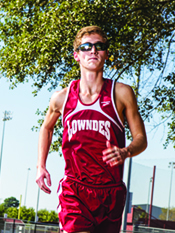 This season, the boys cross country team over at Lowndes High took the region 1-6A title and, although they may not agree, they made it look effortless. They earned nearly a perfect score with their top five runners in the top seven. The squad was led by Roe. More impressive than his finishing places this season, are the numbers that flash across his stop watch at the end of races. Running a 16:31 at the 33rd Annual Westover Invitational, Roe earned a new personal record this season which trumped last year’s season best time of a 17:10 at the same meet. Roe has had good help in his attempt at boosting his speed. Head Coach Martha Mazurkiewicz isn’t at all an easy coach. The Vikings cross country teams have two-a-days twice each week during their ten-meet season. As an advanced member on the team, Roe puts in between 50 and 60 miles per week which helps him at practice and during races. 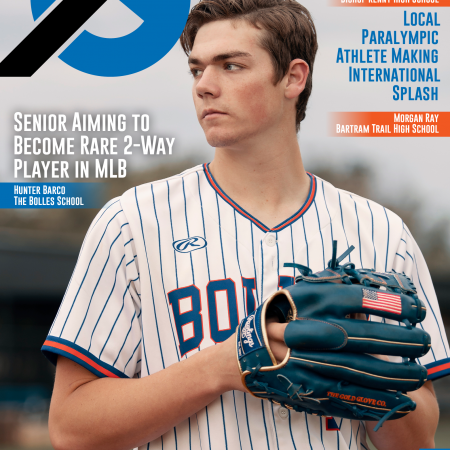 “His focus and self discipline help him complete workouts that others may have more difficulty with,” Mazurkiewicz said. 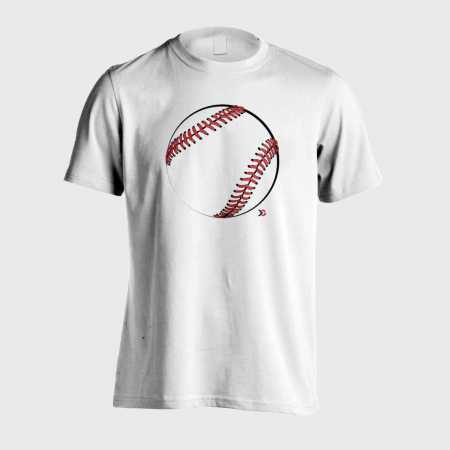 According to Mazurkiewicz, his exceptional efforts at practice bleed over to other aspects of his life. 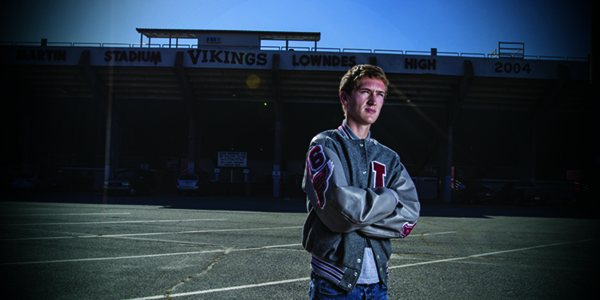 She has seen his leadership qualities and his relationships with his teammates grow throughout his time at Lowndes. In fact, Roe is already coaching. He is a coach for the Viking Runners Club where he helps improve runners’ abilities, but also mentors them on nutrition and, with younger runners, grades. It may seem difficult to have time for anything else between going to high school and knocking out 60-miles weeks. However, adding to his coaching duties, Chance is also a member of the Beta Club and the Spanish Club. He spends his spare time studying for his AP classes to keep his A plus average. What’s his motivation? Chance has his eyes set on Florida State University and wants to major in structural engineering. Although still a very respectable finish, Roe didn’t run his ideal race at the GHSA 2014 State Cross Country Championships. He finished 39th out of 222 other runners who qualified for the race. His finishing time was a 17:34. While that sounds like light speed for getting in 3.1 miles to the average person and most runners, Roe is that kind of kid who is always seeking improvement and lucky for him, he is only a junior. Even better for him, he prefers track to cross country. Let’s wait and see what spring holds for this speedster. This kid is awesome!! Not only on the Track but as a person too!